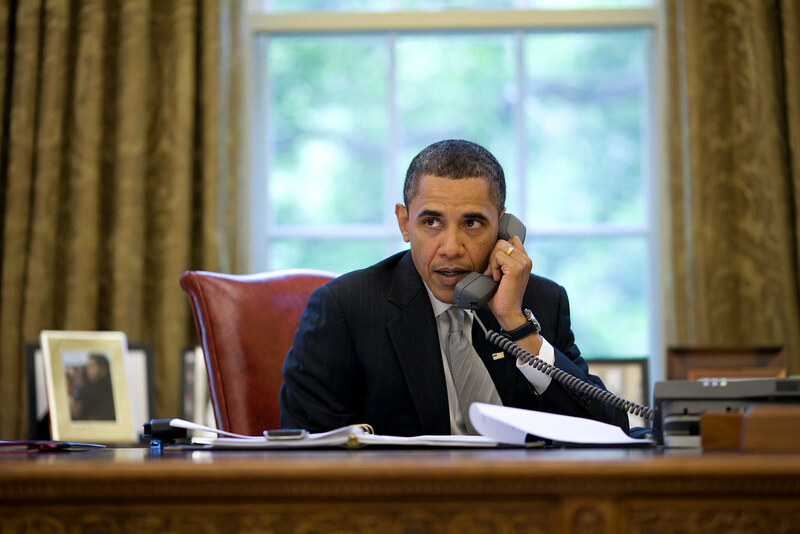 The President takes part in the daily briefing call with Gulf Coast Governors on the BP oil spill. The President reiterated the Administration’s sense of urgency for dealing with the oil spill, assured the governors that the federal government is bringing the best science and expertise to the table and underscored his commitment to continuing our strong collaboration with the state and local governments. Department of Homeland Security Secretary Napolitano, Rear Admiral Neffinger, EPA Administrator Jackson and Commerce Department Principal Deputy Under Secretary for Oceans and Atmosphere Monica Medina provided the regular daily briefing on operations, leak stabilization, environmental impact and oil trajectories.